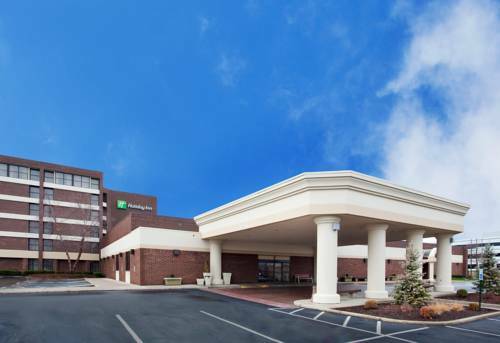 The Holiday Inn Dayton Fairborn hotel offers a convenient location that has easy access to I-675 and is close to downtown Dayton, Ohio. Our hotel is near Wright Patterson Air Force Base as well as the Dayton International Airport. This Fairborn, Ohio hotel's location is also near Wright State University, The Ervin J. Nutter Center and the National Museum of the United States Air Force. We're just 12 miles from Dayton, Ohio and our hotel is perfectly located for a shopping trip to the Mall at Fairfield Commons. Corporate guests of our Fairborn, Ohio hotel appreciate that we're the ideal, full-service hotel. With state-of-the-art A/V services, superior catering and exceptional service, our meeting facilities create memorable conferences, conventions, military reunions & weddings. If you are looking for a hotel near WPAFB, Lockheed Martin, Boeing, Northrop Grumman, or Raytheon, our hotel in Fairborn, Ohio is close to all of them. No matter what you are looking for, our Fairborn, Ohio hotel's experienced staff and facilities will make your stay memorable. From our friendly service, McKenna's restaurant and lounge to an indoor pool and well-equipped fitness center, our hotel in Fairborn, Ohio will exceed your expectations.